The symbols of the birds - the Hummingbird and the Peacock - are exceptionally significant and were deliberately chosen to represent Girls PACT and its work. The Hummingbird, the original Girls PACT image, symbolizes great courage, determination, flexibility and resilience. In essence, it expresses fearlessness, a character trait highly promoted by Girls PACT. During its migration, the Hummingbird may fly over 500 miles. She has to plan and prepare for this journey to make it there safely. The Hummingbird pays attention to detail and personal nourishment. Like the Hummingbird, our young women are taught to make educated, informed decisions based on their personal values and aspirations. The Hummingbird respects and protects boundaries. On her journey, the Hummingbird returns to the very same gardens year after year. If she finds an intruder in her space, she will take a stand and attack. In this way, the Hummingbird reminds us to be feisty and strong. No matter our size, we can use our voice and demand respect for our own boundaries. Like an enchantress, the Hummingbird seduces allies to follow her lead on big daring adventures. She can fly backwards, from side to side and stop in mid-flight. These movements represent her ability to overcome obstacles. 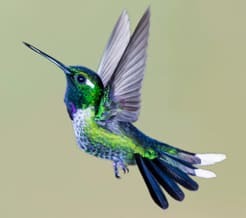 There will always be challenges on its journey, but with endurance and perseverance, the Hummingbird can accomplish its goals. The Hummingbird’s skillful maneuvering is a reminder that anything is possible. The Peacock, the symbol of Guys for Girls PACT, personifies grace, dignity and honor. Its majestic tail feathers fan out in gesture of courtship to charm the female. The captivating parade of brilliant hues reminds our young men to embrace their true colors. Like the Peacock, our young men stand proud in their magnificence, self-expression and individuality. The Peacock’s instincts represent communication, positivity and perfect timing. With that, our young men can awaken their imagination and ignite action towards honest expression and healthy relationships. 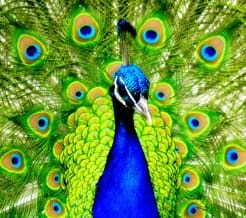 Instead of being cocky, the Peacock guides young men to find their inner strength and alters the conversation about social norms and gender expectations. Together, the Hummingbird and the Peacock, have the power to influence culture and manifest mutual respect and healthy relationships.